I wouldn't mind having an Encore or Growler for an everyday rough duty vehicle, but I would never think of it as a real M151A2 as I do with my two AM General M151A2s. I call them "Growler M151" or "Encore M151" depending on the variant. I personally wouldn't want one but I see and understand some of the allure. 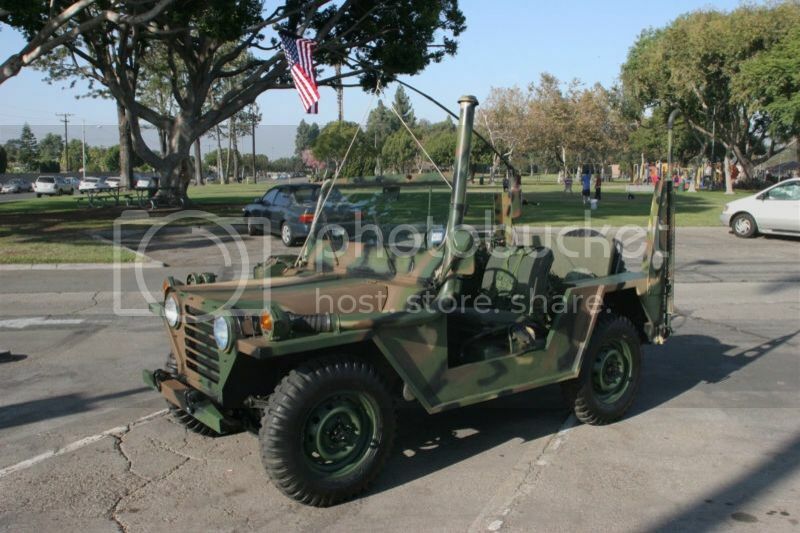 That said to me the main reason for owning a former military vehicle is that it WAS a military vehicle. Not something made to look very similar to one. Last edited by mrdibbles on January 11th, 2013, 8:32 am, edited 1 time in total. Nothing at all wrong with the other new body vehicles IMO, but not being former military its not a 151 but still is a jeep, no? Kind of like a gal with silcon components. Still a gal and with some impressive improvements but.........not original as issued. To me it's how accurate the replacement body or parts are. A bobbed duce is not a FMV but the remains of a FMV. I am taking donations. I'll buy it in a heartbeat! I didn't even look at all the pictures yet. I think that is a Titan, I prefer the Encore. That is not the one I just saw posted here or on the 503 half submerged in a pond is it? Sure looks like it. Dont know much about Titans,,,, But I bet they didn't come with military data plates on the dash.... Looks like a nice vehicle though. There are kits to make Pontiac Fiero's look like Ferrari's... but believe it or not they are still Fiero's. mrdibbles wrote: There are kits to make Pontiac Fiero's look like Ferrari's... but believe it or not they are still Fiero's.